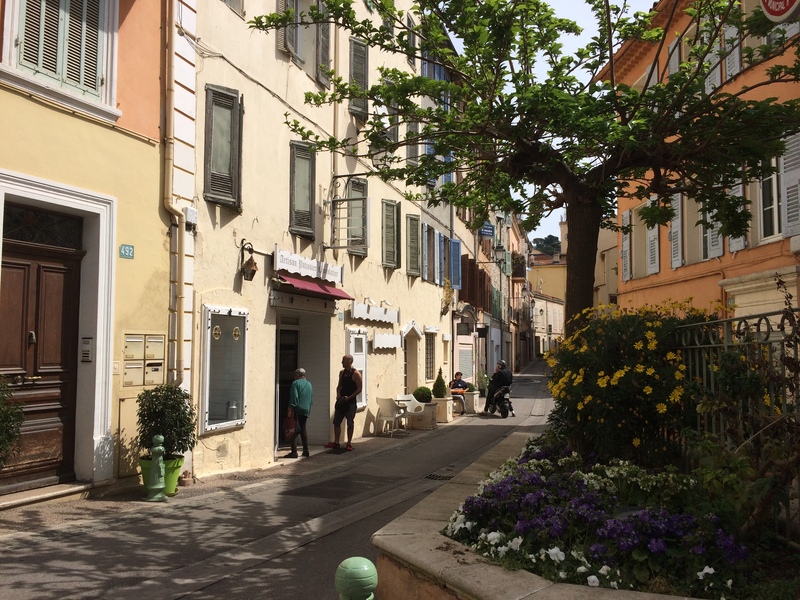 It’s good to be back in Le Cannet, our little corner of the Côte d’Azur which was our home for the past two years. Michael and I arrived early to set everything up for our workshop starting on Monday. It’s early Spring, bright sunshine and cool breeze. Scents of orange blossom waft on the air, but it’s the aroma of coffee and freshly baked croissants which draws us to Francine and Pierre’s lovely Artisan Patissier Chocolatier on the historic Rue Saint Sauveur. 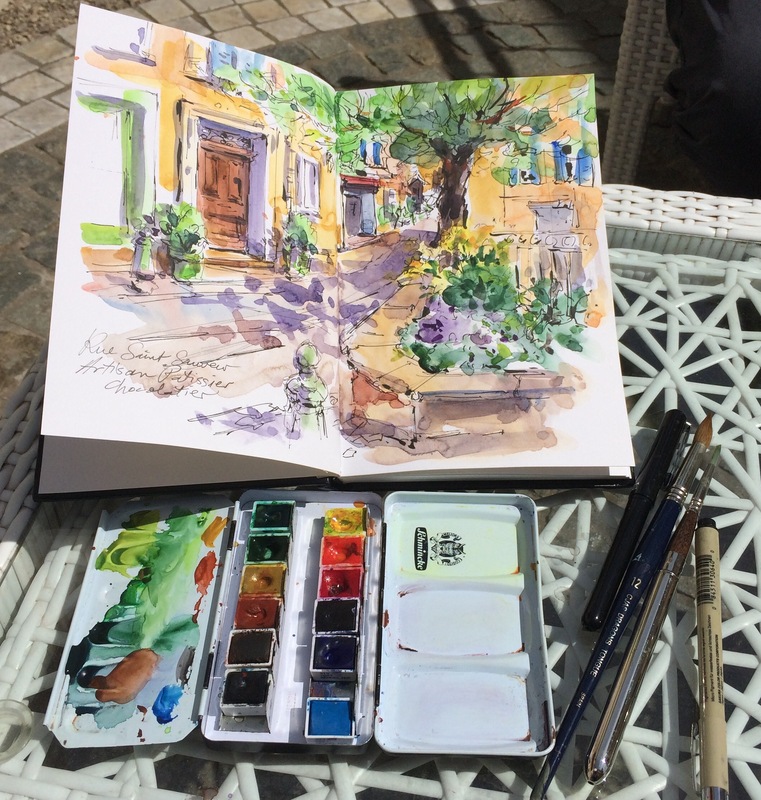 A shady spot under a tree beside an ancient water fountain, I sketch the scene – dappled shade on the narrow street, bright flowers in a raised planter, wonderful old doorways and shutters, the quiet of a late Saturday morning. 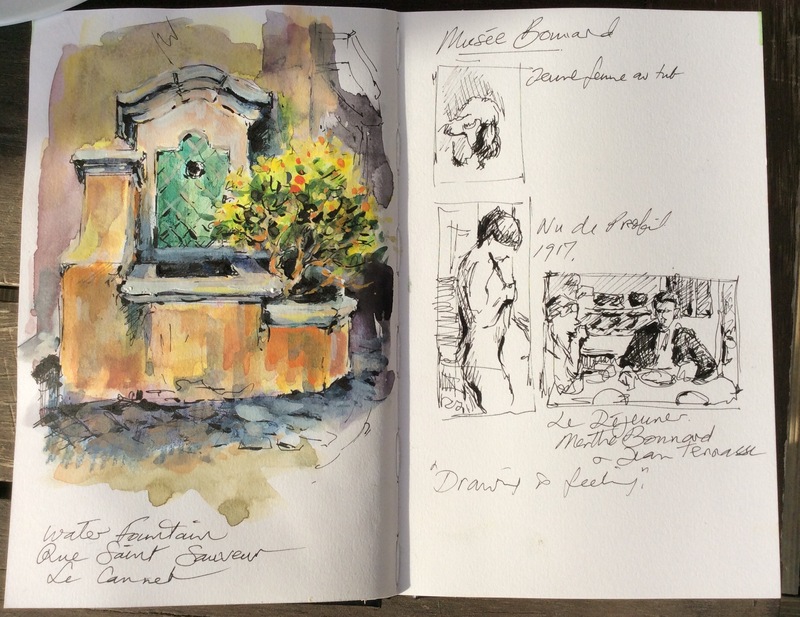 In the afternoon I head to the Musée Bonnard to view the current exhibition from the museum’s permanent collection. 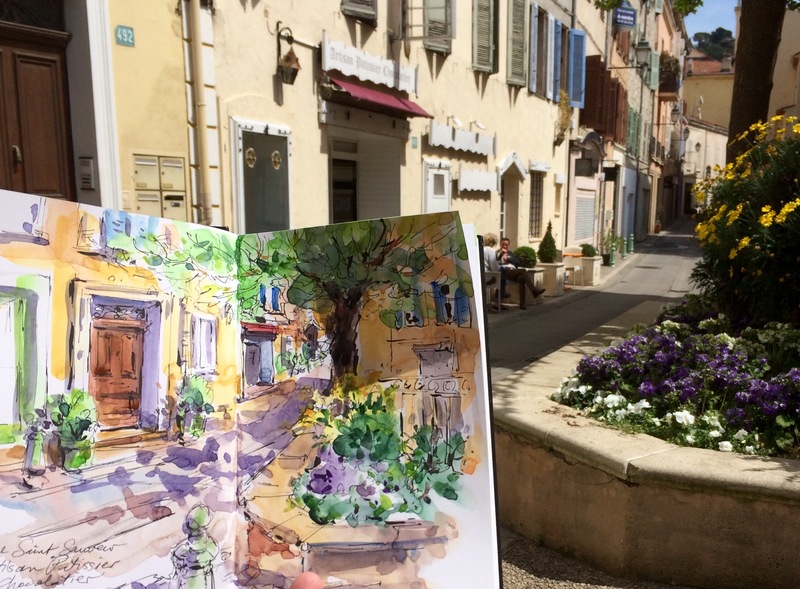 Sketching here with pen and ink allows me to explore the beautiful work with a special focus. 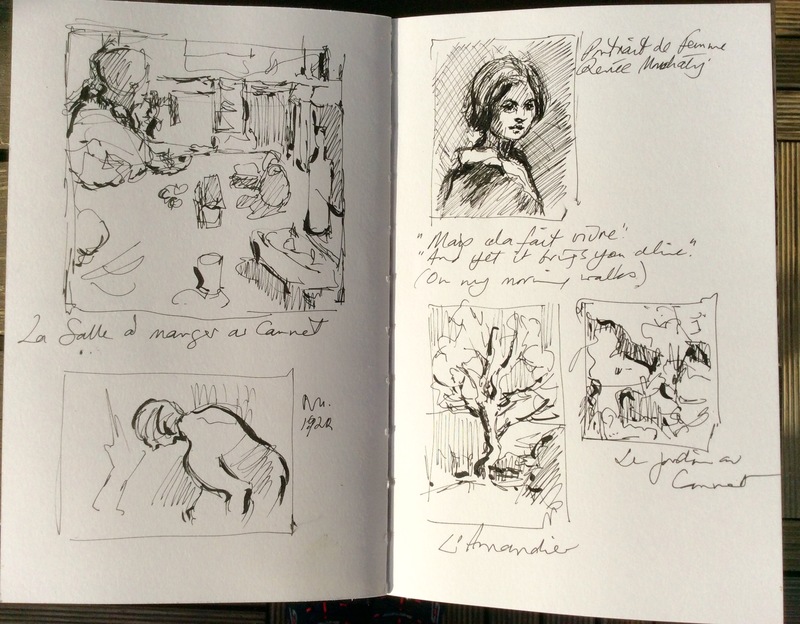 I especially love the intimacy of Bonnard’s simple pencil sketches of Le Cannet and the surrounding countryside, all in a tiny notebook from his daily walks. As evening falls we stop to visit some friends in town – Philippe, our favourite fromager to pick up some gorgeous Brie and persillé blue cheese – and Ludovic at the Cave wine shop, for a bottle of crisp, cold rosé. On the hotel terrace we toast the day as the sun dips behind the hill. La vie est belle! All I can say is I wish I was there!!!! Lovely to see the blog is alive and kicking too…. Oh you are teasing us all Brenda. Wish I was there. Hope you have a wonderful week. It all looks so beautiful Brenda – relaxing and aesthetically perfect. Really envy you all – roll on next year when I can join you.